When Sissy was a toddler and Bubba was The Baby, we began a bedtime ritual that lasted for several years. 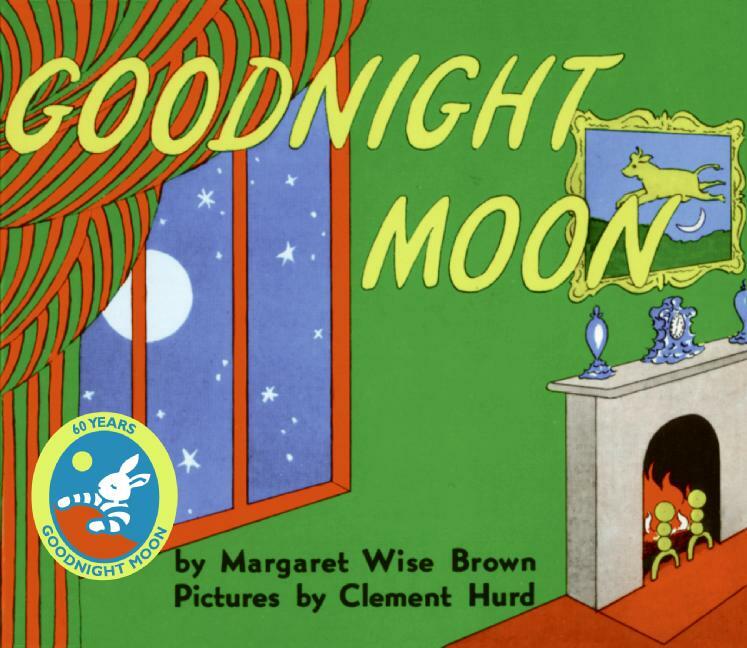 Every night I would gather the kids into my lap, and we would read Margaret Wise Brown’s Goodnight Moon. I don’t remember reading this story as a child, but in adulthood it has become one of my favorite books…and not just to read to my kids. I’m mean it ranks up there with The Grapes of Wrath and The Amazing Adventures of Kavalier & Clay for me. I love the rhythm of the text, Clement Hurd’s beautiful illustrations, and the way the two combine to engage the reader. We read the story so many times that my children at 2 and 3 could recite the book in its entirety. There was nothing more moving than listening to their tiny voices speaking the story along with me as I read it from the book. On several occasions, we even just spoke the story without even opening the book! I’m not entirely certain when we stopped reading it every night, but I believe we just started supplementing other stories once my children were old enough to start showing preferences of their own. Eventually, our tattered copy got mixed in with the host of other books that my children own and the routine just faded from our lives. Until Peanut stumbled across the book just the other day. She is in a wonderful phase right now where she wants to read the same books over and over and over again until you begin to doubt everything that you know to be true about the world. We’ve actually started hiding some of her favorites, lest we suddenly snap and rip them apart, throwing them into the air with maniacal glee. So when she dropped yet another book in my lap shouting “boo, daddy, boo!” my initial response was to toss it across the room. But as my wrist was just about to spring, my eye caught sight of the cover and I stopped mid-throw. So we sat down, and we read the book. She listened intently, laughing at the pictures and pointing out the animals that she knows and repeating her favorite words. As she experienced this book for the first time, I relived all the times that I had read it before. All the sleepy nights we sat together, reciting it as a family. All the snuggles and hugs. All the times we whispered “hush.” Midway through, I realized that I wasn’t even reading the words on the page, but was reciting it as it resurfaced from the recesses of my memory. I looked over at my wife, and we shared a heartfelt smile of remembrance. So we’ve reestablished the Goodnight Moon bedtime routine with Peanut. For the last several nights we have sat together in the chair in her room and read the story while snuggling close and rocking back and forth. I am so excited to be able to share this experience with the next pair of my children. Do/did you have a bedtime ritual with your kids that you treasure? Do recall with fondness a routine from your own childhood? Did you have a favorite book that you liked to read as a child or with your children that you still remember? I’d love to hear about your own experiences!